p.Z .27<32/35. 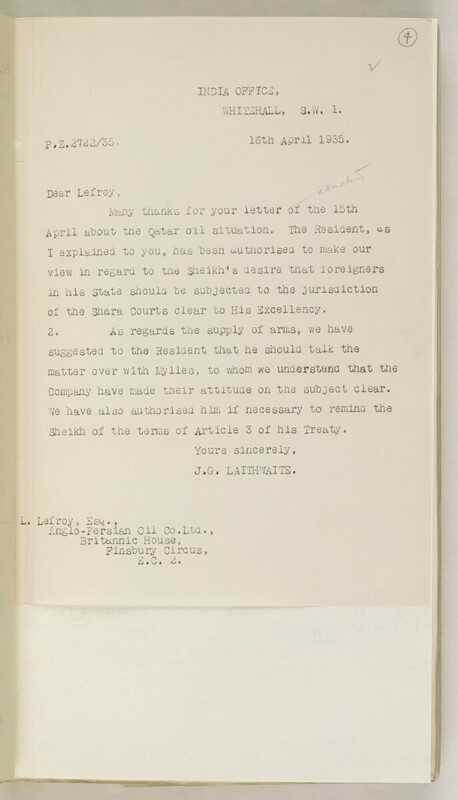 15th April 1935.
of the shara Courts clear to His Excellency. Company have made their attitude on the subject clear. Sheikh of the terms of Article 3 of his Treaty.